Chili in June? 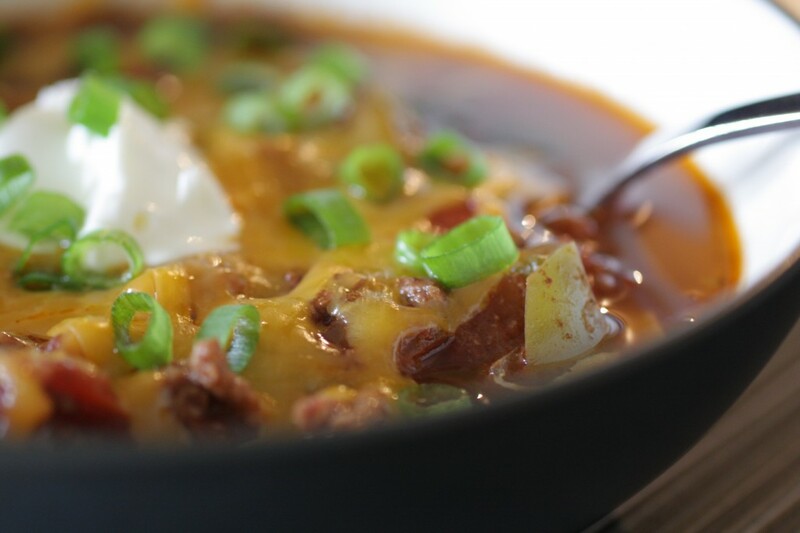 When temperatures are below normal by a good ten degrees, slow-cooker chili is a great weeknight meal. It’s effortless, but it also freezes beautifully, so even if you only have one day of cool temperatures, you don’t have to worry that the chili will go to waste. And if, during the middle of summer, you’re blessed with a cool evening, you can always pull that chili out of the freezer! 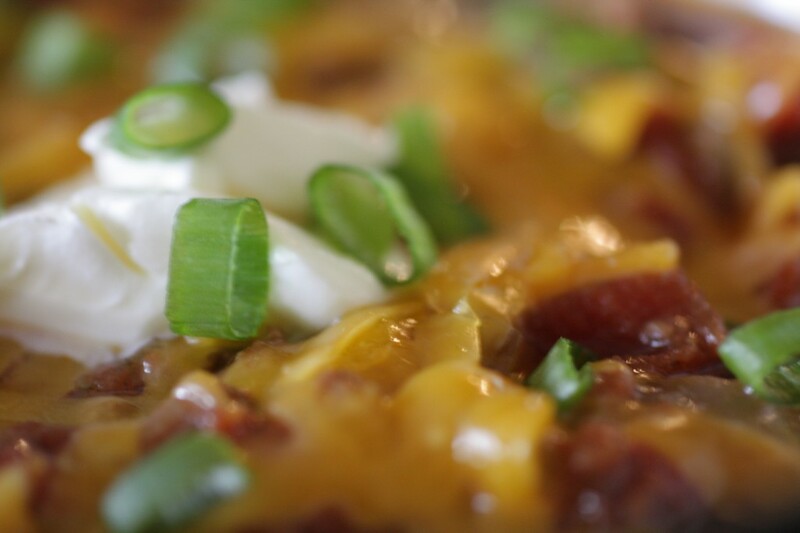 Making chili in the slow-cooker was one of my first ventures into cooking. After college, I didn’t have many pots, but I did have a slow cooker. I learned that you can make a tasty chili simply by throwing all of the ingredients into the crock (no browning necessary), and letting it do its thing. After all, who doesn’t want to come home to dinner being ready? I’ve come across a few people who don’t like the idea of leaving a slow-cooker turned on during the day, but really, that’s kind of the point of this little appliance: toss in the food and go. With the advent of the removable crock (that’s dishwasher safe! 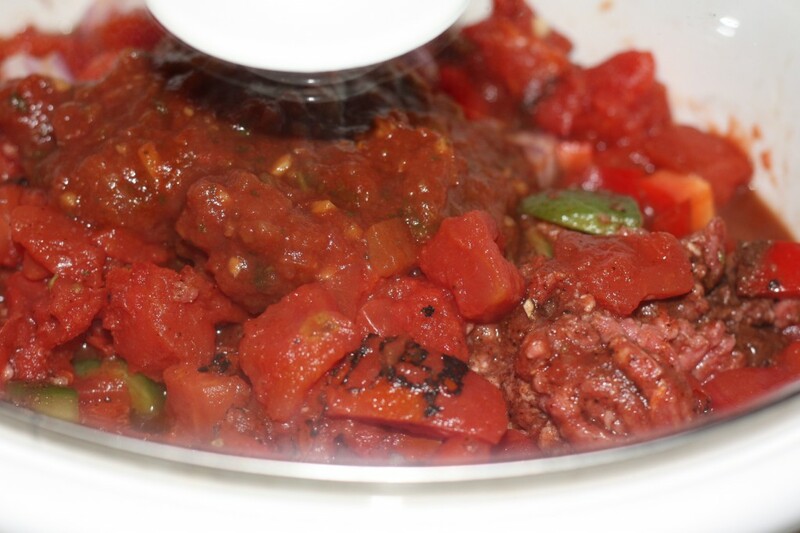 ), utilizing a slow-cooker has never taken less time. Some folks really like the plastic crock liners, but I have some misgivings about them. I used one once, and it leaked, but not from a hole – it seemed more like the liner melted in places. I also do not like the idea of cooking food in plastic – who knows what exactly is leaching out of the liner into your food? Lightly spray the inside of the crock with cooking spray. Add the beef through the lime juice. Stir a couple of times to break up the beef a little, then cover and cook on low heat for 8-10 hours or high heat for 4-5 hours. During the last hour of cooking time, add the cilantro, and season to taste with salt and pepper. This looks so good. Can you tell me which slow cooker you use? I bought one about 5 years ago, but every recipe I follow comes out dry and/or burnt. I have a really inexpensive slow cooker from Hamilton Beach that I’ve had over a decade now. I’ve had slow cooker meals turn out dry before, as well – I think the problem is that current regulations (in the US, anyway) have the minimum slow cooker temperature well above what slow cookers were originally designed to do. At least, that’s what I’ve heard. just made this, best chili i have ever tasted!